You can now edit old notes and create new ones right in Docs. 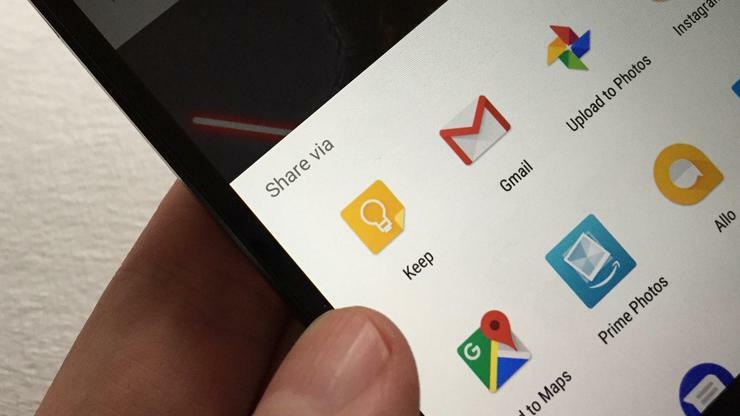 Keep has always been one of Google’s most unsung tools. A versatile and powerful cross-platform note-taker, it’s great for jotting down thoughts, saving photos, making to-do lists—just about anything we need to access quickly throughout our day. And now Google is finally giving it the respect it deserves. No longer a standalone utility, Google is upgrading Keep to a G Suite core service, making it as important of an office production tool as Docs or Sheets. Now you’ll be able to see, search, and edit your Keep notes in Docs, saving precious minutes and helping to streamline your workflow with drag-and-drop integration of notes right into your documents. The integration, which is rolling out today, is simple. In the Tools menu in Google Docs you’ll see a new Keep notepad option, which brings up a sidebar containing any Keep notes you have saved. From there, you can then edit or drag them into your document. Additionally, you can create a new note by highlighting a portion of text in Docs, right-clicking, and selecting the Save to Keep notepad option. Or, you can type directly into the Take a note field in the sidebar window. 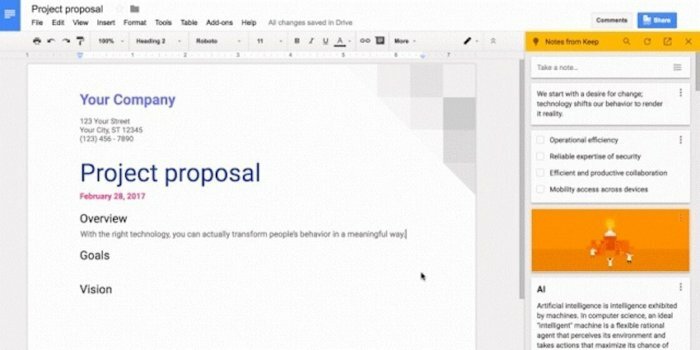 You can now edit and create Keep notes right in Google Docs. Any notes you create while in a document will be added to a Related tab in the sidebar and synced back to the Keep app. Then, when you then view those notes in Keep, they will include a link back to the original document where they were created. As a core service, Keep will now have the same technical support and service level, and it will be added as a monitored service to the G Suite Status Dashboard. And business that subscribe to a monthly G Suite plan will also get administrative rights over Keep through Google Drive. Why this matters: Keep is one of best components of Google’s ever-changing suite of apps and services, and after so many have languished and shuttered, it’s a relief to see Google commit to its powerful note-taker. And by fully integrating it into Docs, it gives us one less reason to shop around for a competing note-taking service.